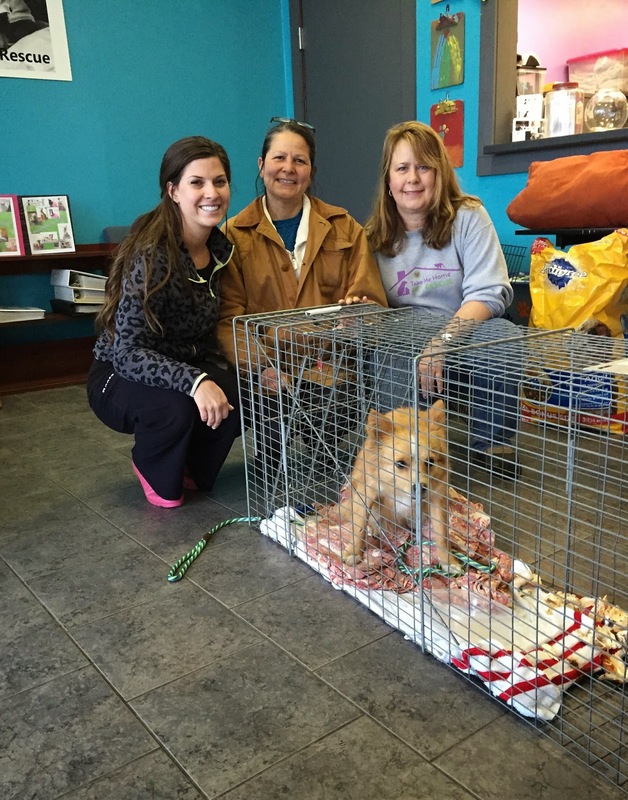 What a week it has been for Take Me Home Pet Rescue (TMHPR)! We had a week of ice & snow that put our home visits and adoptions on hold for several days. We also saw an influx of dogs being brought in off of the streets during the sub-freezing temperatures. We literally have little dogs stashed in every corner of the adoption center. They are safe & warm. And all of their little bellies are full. Let’s catch everyone up on our news regarding the littlest animals coming into TMHPR care! Allow me to introduce sweet Nala. She is a tiny thing, weighing in at about 20 lbs. Duck Team 6 found her out in the sub-freezing temperatures over the weekend simply trying to survive. After a lot of searching and patience, the Duck Team 6 volunteers were successful in capturing her and transported to TMHPR. The volunteers from Duck Team 6 are fabulous partners of TMHPR. They specialize in getting the dogs off of the streets and finding rescues to take them in until they can find their forever homes. Nala will also need a ride to the vet this week. Ever thought of volunteering to transport dogs to and from the vet? Our weekend intakes didn’t stop there. Meet sweet Kelcy. She was an owner surrender who was recommended by one of our vets. Her loving owner is terminally ill and can no longer care for her. 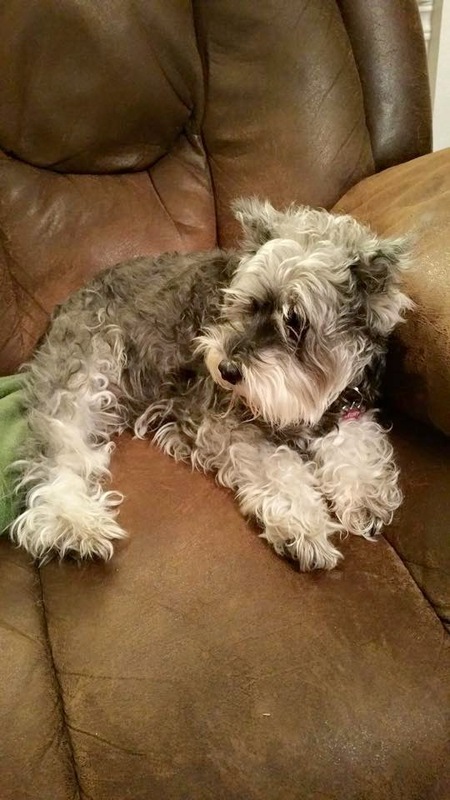 Kelcy is a miniature schnauzer who is approximately 7 – 8 years old. 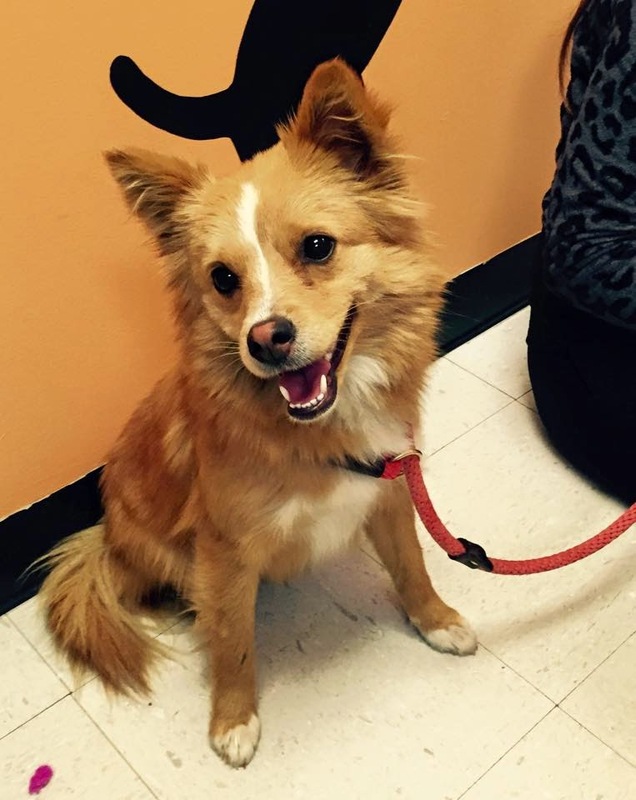 She has been well cared for and is in good health, spayed and up to date on all shots. She is currently in a TMHPR foster home, decompressing from the changes in her life and being temperament tested. More about Kelcy in upcoming weeks. Now on to the littlest of our bunch. Meet Rosie and Socks. Found by a friend of our Volunteer Coordinator, Phyllis. 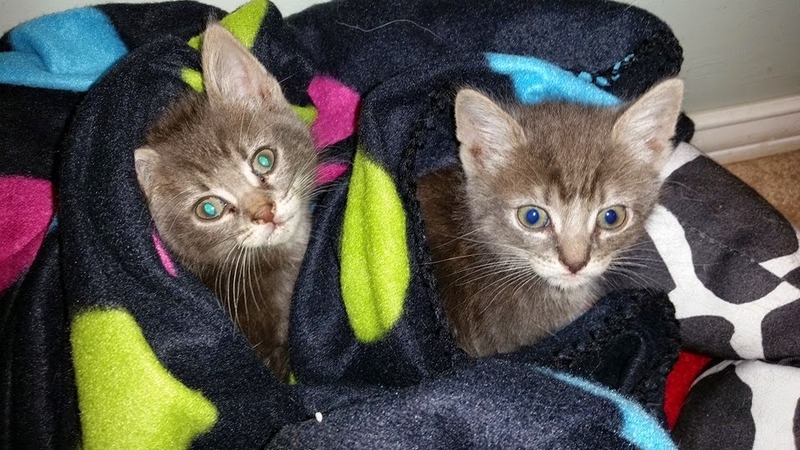 These tiny babies were soaking wet, cold and hungry. So, the friend wrapped them up, dried them out and made sure their body temperature was on the rise. And of course Phyllis is a sucker for kittens, aren’t we all? (She is also a sucker for puppies, but don’t tell her I said that.) So, she raced over to help with the babies. She has named the little boy socks due to his markings on his feet. And the little girl is Rosie. As anyone would expect of a rescue volunteer, Phyllis is always prepared with kitten formula and kitten food. 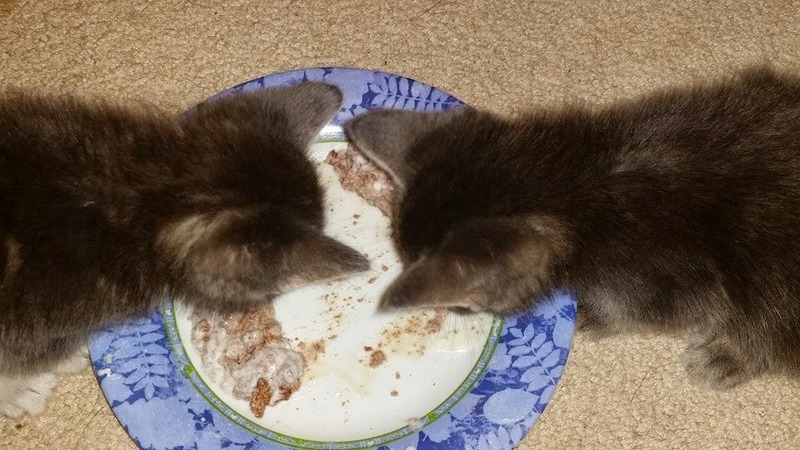 The babies were fed until their tummies were full and they were ready to settle down for a nice little nap. We believe the babies to be about 5 weeks old. No one has been able to locate a wondering mother cat or any additional babies. Check back for updates on these sweet babies. They will also need a ride to the vet this week! Now for some of our youngest puppies. Meet Brady, he is one of Sophie’s babies who was born in a Duck Team 6 foster home. 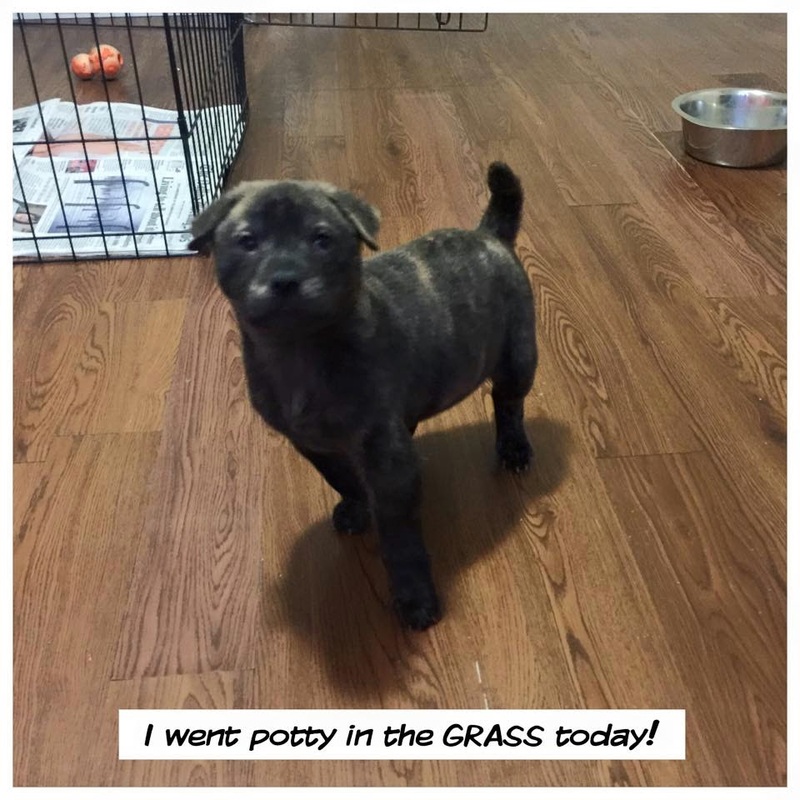 He is one of four puppies who are in need of foster homes or foster to adopt homes, quickly. 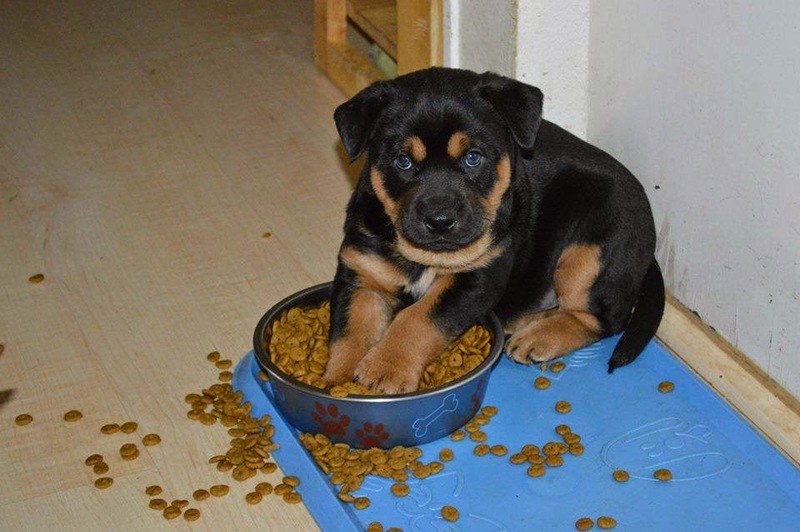 They are being transitioned to dry kibble and canned puppy food. A sure sign that Mama is done nursing them. Have I mentioned TMHPR is in need of foster homes? Just need a warm bed, patience and lots of love. TMHPR provides training, food and medical care. And a quick update on Benedict and Ethan who is bunking at our volunteer Carissa’s home. (These are two of the puppies who were rescued from the abandoned trailer a couple of weeks ago.) Here is an update on their training. We are very proud of Benedict and Ethan for their accomplishments!! As you can see, fostering provides so many rewards. Look at all of the love and cuddles? And you know that a dog is off of the streets and out of the cold because you helped. Check back for more updates and Happy Beginnings of our rescued cats and dogs. And thank you for sharing our stories with others! Sharing leads to more adoptions, volunteers and donations. 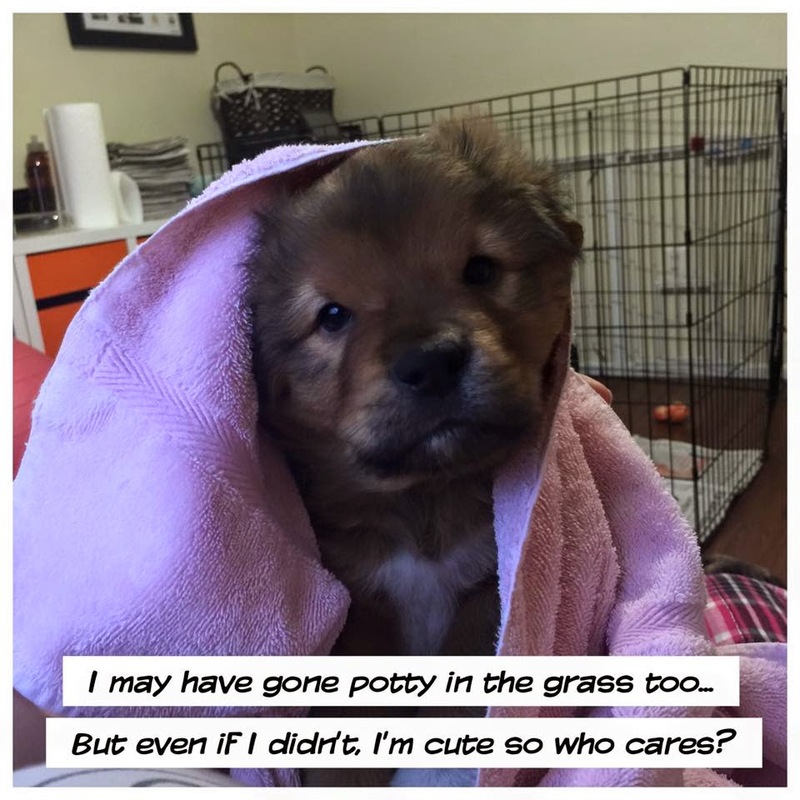 And all of those help our four-legged fosters.